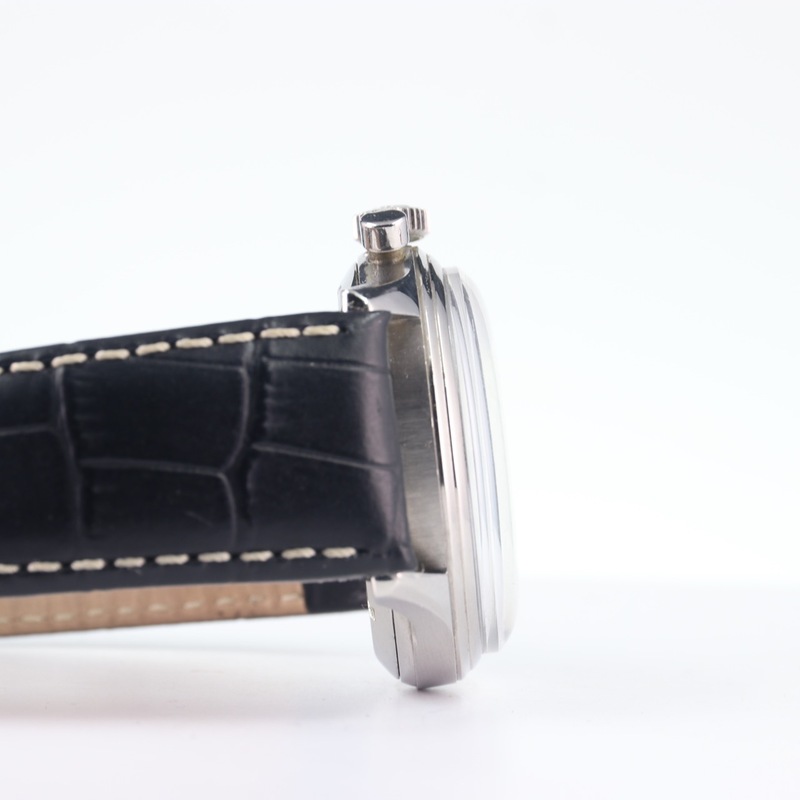 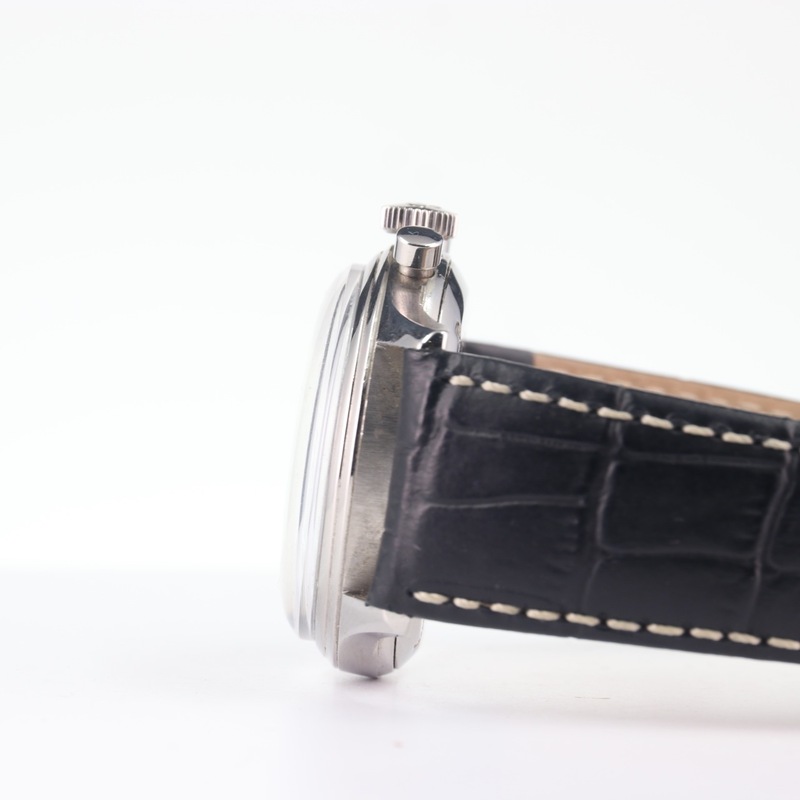 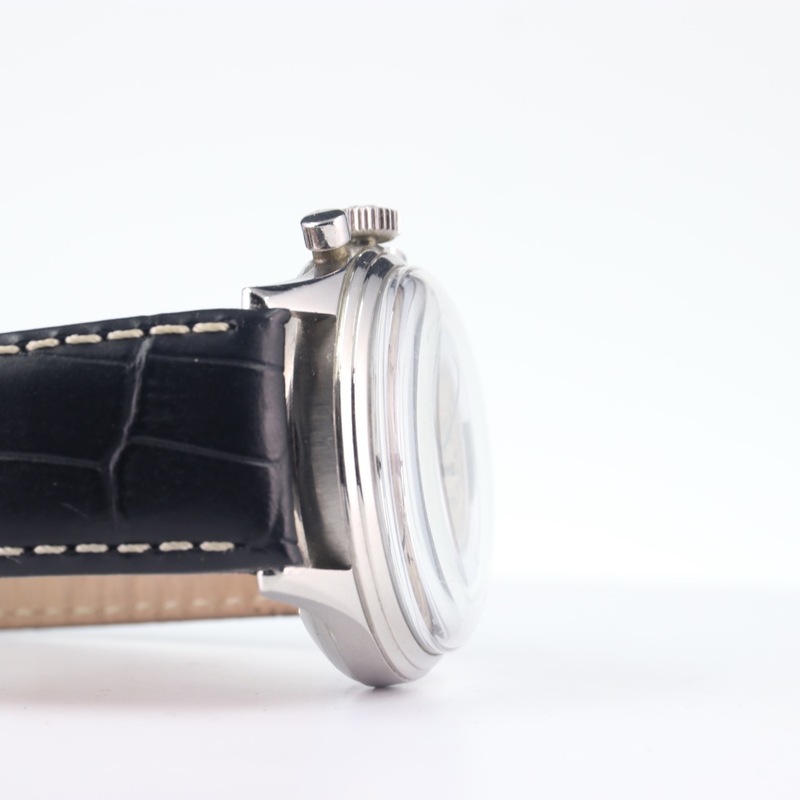 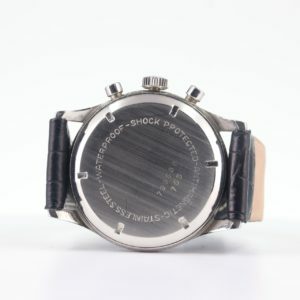 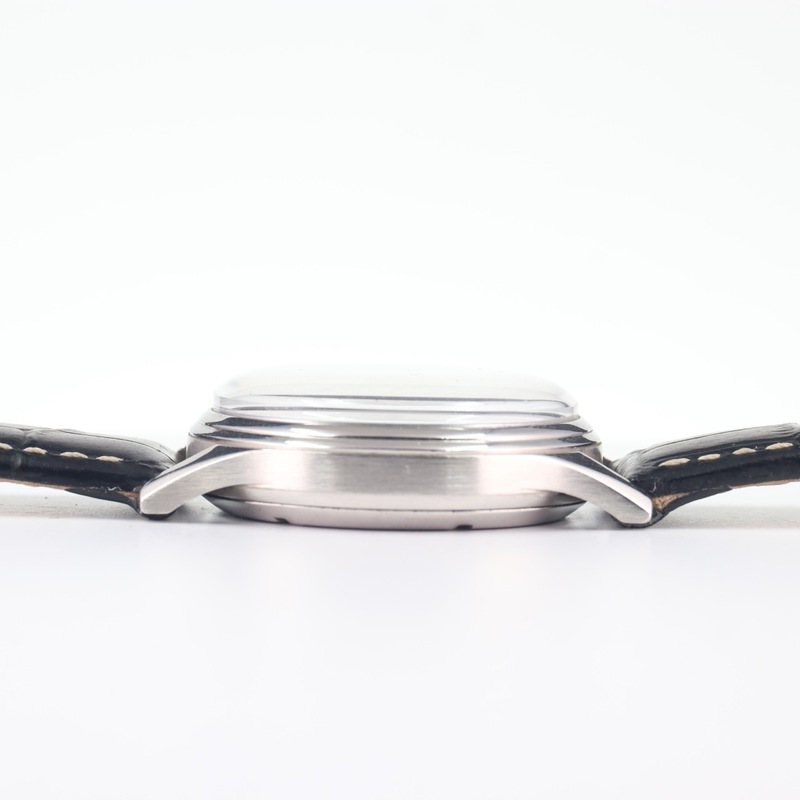 CASE & BACK: This watch measures a large 39 x 48mm not including crown and is 12.5mm to the top of the flush fit crystal. 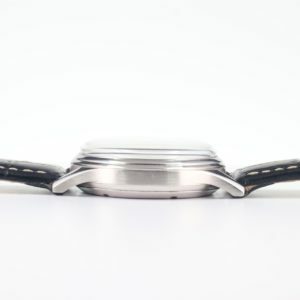 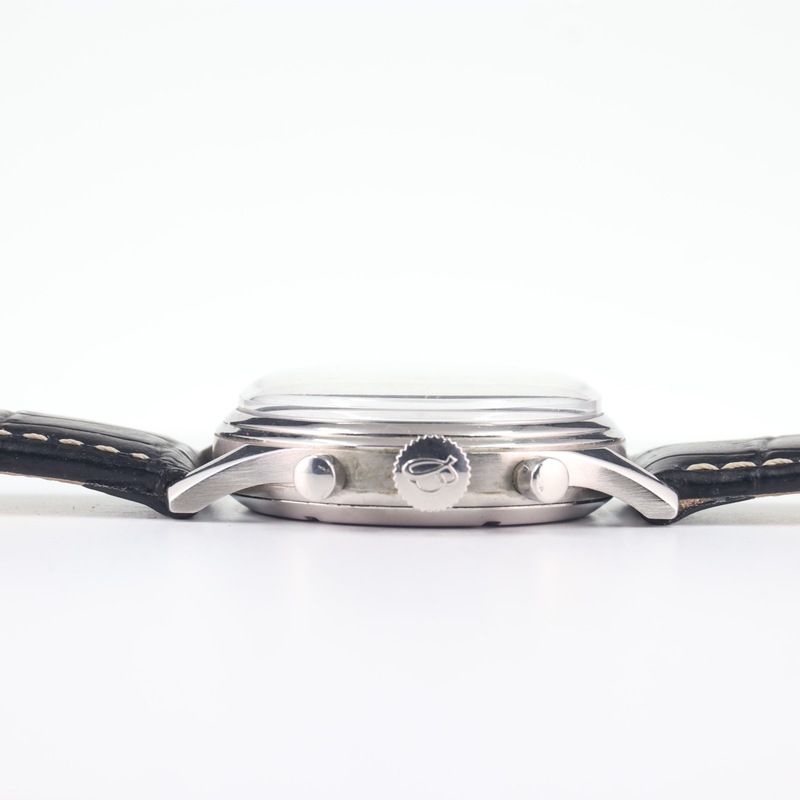 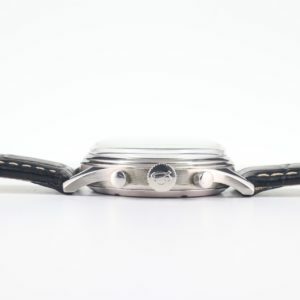 The heavy all-steel case does not appear to have ever been polished and still shows its original bevels and polished finish. 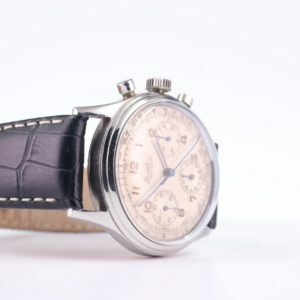 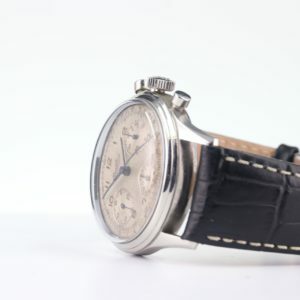 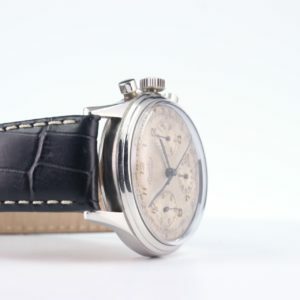 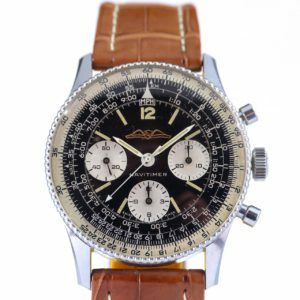 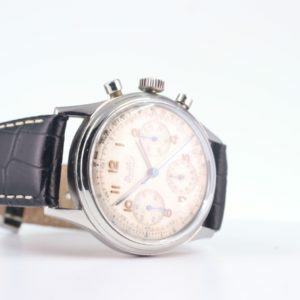 There are very few superficial scratches and some nicks commensurate with a very lightly worn 67-year-old tool watch — Fantastic vintage condition overall. 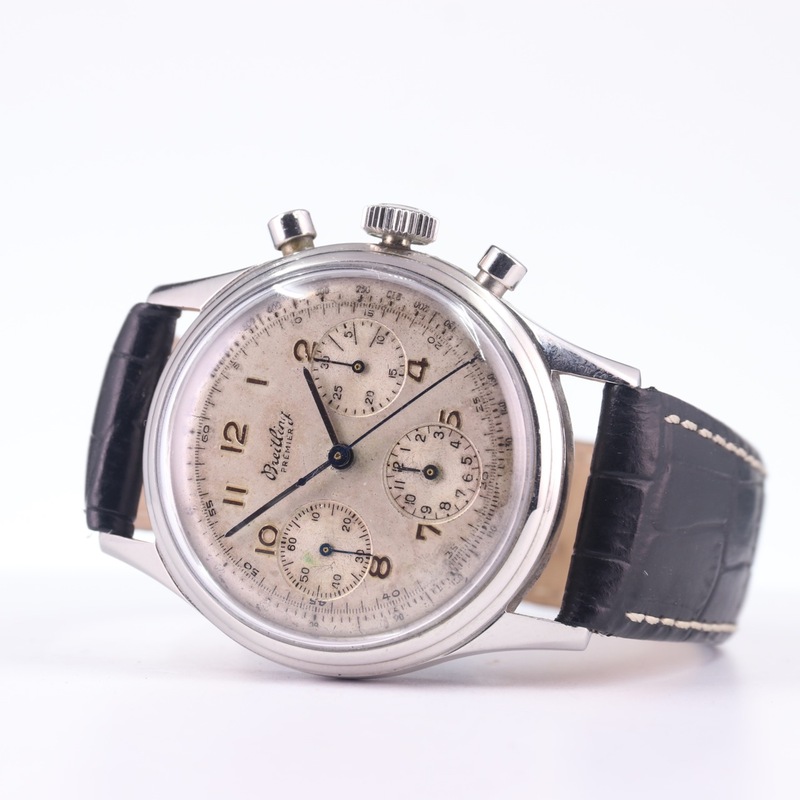 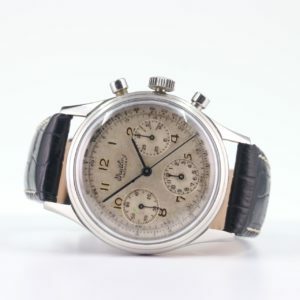 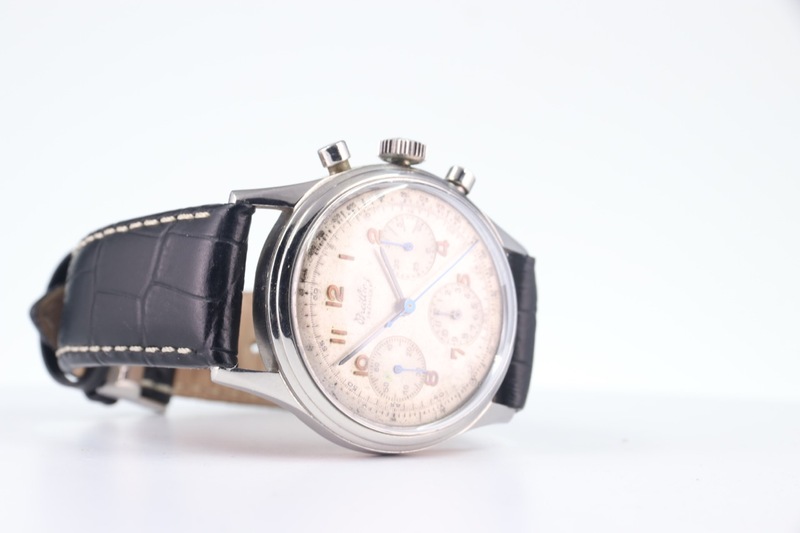 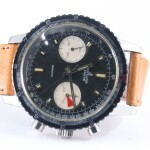 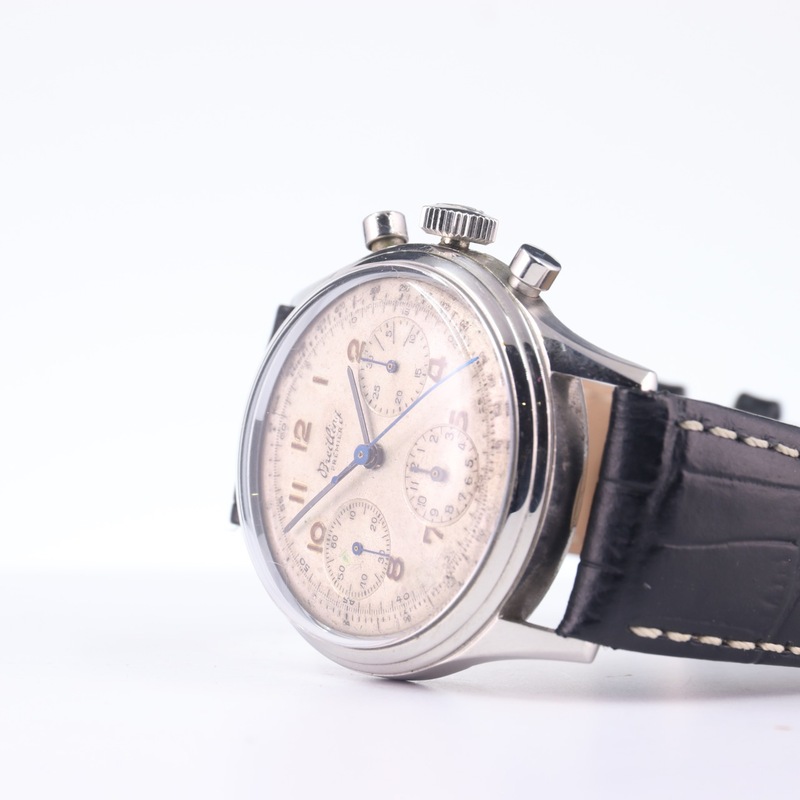 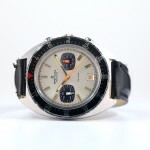 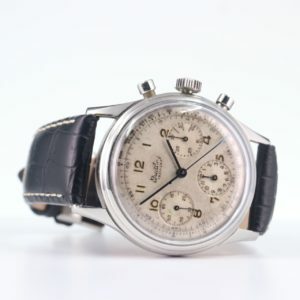 The outer part of the screwed steel back has some very light and superficial scratches but shows its original Breitling nomenclature of the period including the serial 799688 number on the inside, which indicates a 1951 production, and correct 765 reference–also Excellent original cosmetic condition. The inner caseback shows no corrosion and has the correct internal Breitling engraving of the era.